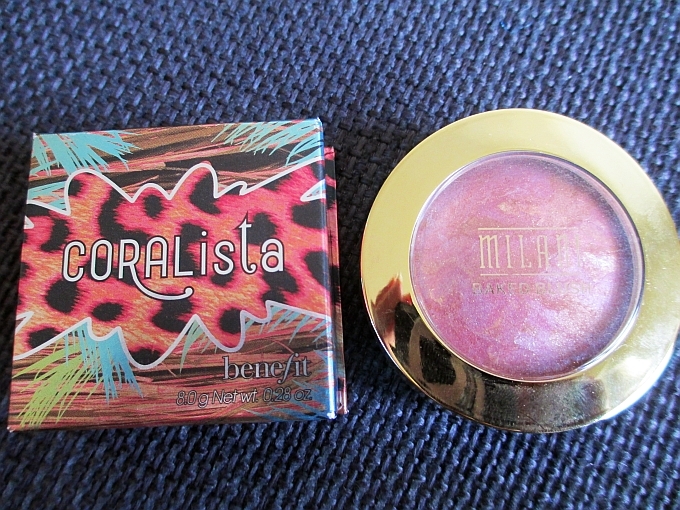 Spring blushes review - Coralista by Benefit and Berry Amore by Milani! My last obsession is called BLUSH, because I can't stop checking, swatching and buying different shades of that product lol. 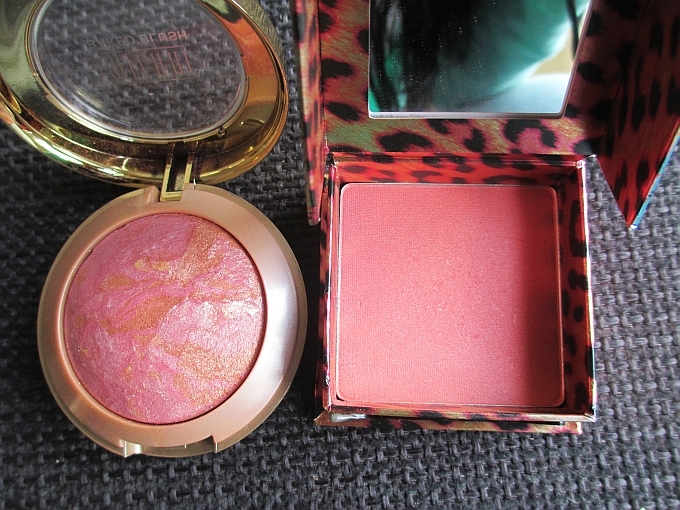 Two of my adored spring blushes are Coralista by Benefit Cosmetics (lately I'm totally OBSESSED with this brand!) and Milani's baked blush in Berry Amore shade. Texture of Coralista is more creamy, while Berry Amore is more powdery type of a product. While applying you need to be gentle with Berry Amore, because it's very pigmented and while trying to swatch both products Berry Amore showed up immediately, with Coralista though I needed to press my brush a little bit harder. Coralista is a gorgeous peachy-pink shade, I would say on a satin side, without glitter. Berry Amore is more peachy-coral shade, with warm golden glitter, which looks just beautiful. I honestly love both. Coralista in my opinion looks a little bit more natural and gives you more satin-glowing finish on your cheeks, while Milani's blush is a little bit more noticeable (at least on my face), but that's exactly why I admire it. 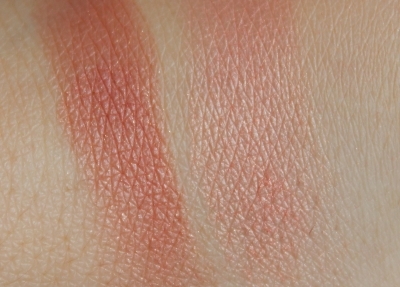 Berry Amore is my first blush from Milani Cosmetics, but I have to say, that I am VERY impressed with the quality and beautiful, pigmented color. With my current blush obsession :) I will definitely going to try more shades! Hope your day is going great Ladies! and.... don't forget to enter my & Alchemilla's giveaway!